Braun, D. A., Ortega, P. A., Theodorou, E., Schaal, S.
Theodorou, E., Stulp, F., Buchli, J., Schaal, S.
With the goal to build robotic hands which can reach the levels of dexterity and robustness of the hand, the question of what are the candidate control principles that can handle the nonlinearities, the high dimensionality and the internal noise of biomechanical structures of the complexity of the hand, is still open. In this work we present the first stochastic optimal feedback controller applied to a full tendon driven simulated robotic index finger. In our model we do take into account the full tendon structure of the index finger which consist of 11 tendons based on the underlying physiology and we consider muscle with the typical force - length and force velocity properties. Our feedback controller show robustness against noise and perturbation of the dynamics while it can also successfully handle the nonlinearities and high dimensionality of the robotic index finger. Furthermore as it is shown in the evaluations, it provides the complete time history of the tendon excursions and the tendon velocities of the index finger for the tasks of tapping with zero and nonzero terminal velocities. 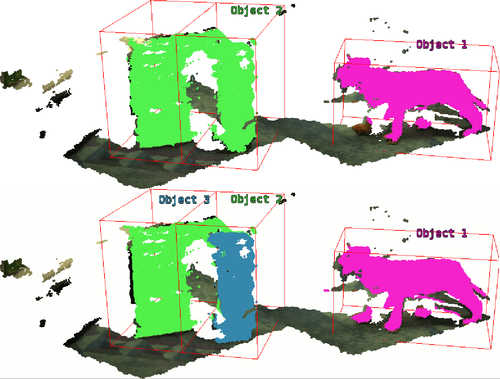 Stulp, F., Theodorou, E., Buchli, J., Schaal, S.
We present an approach that enables robots to learn motion primitives that are robust towards state estimation uncertainties. 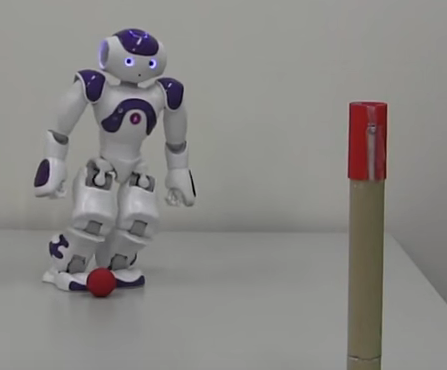 During reaching and preshaping, the robot learns to use fine manipulation strategies to maneuver the object into a pose at which closing the hand to perform the grasp is more likely to succeed. 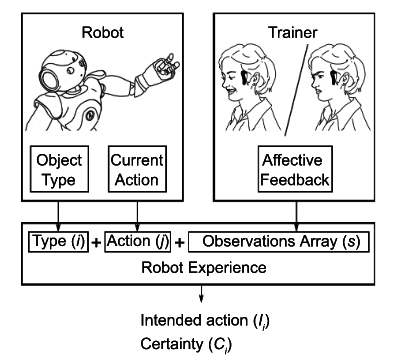 In contrast, common assumptions in grasp planning and motion planning for reaching are that these tasks can be performed independently, and that the robot has perfect knowledge of the pose of the objects in the environment. We implement our approach using Dynamic Movement Primitives and the probabilistic model-free reinforcement learning algorithm Policy Improvement with Path Integrals (PI2 ). The cost function that PI2 optimizes is a simple boolean that penalizes failed grasps. The key to acquiring robust motion primitives is to sample the actual pose of the object from a distribution that represents the state estimation uncertainty. During learning, the robot will thus optimize the chance of grasping an object from this distribution, rather than at one specific pose. In our empirical evaluation, we demonstrate how the motion primitives become more robust when grasping simple cylindrical objects, as well as more complex, non-convex objects. We also investigate how well the learned motion primitives generalize towards new object positions and other state estimation uncertainty distributions.